Secret Garden Fox saddle bag handbag from Disaster Designs. 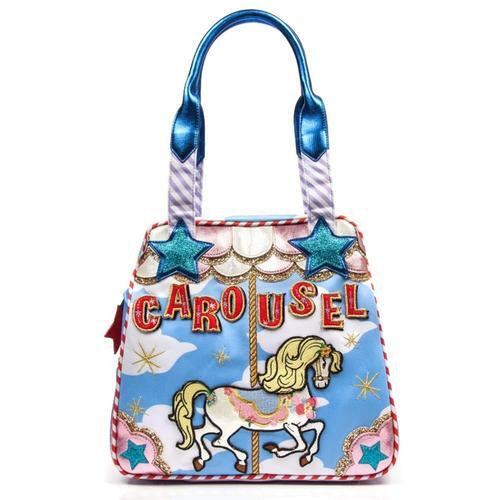 A cute handbag that'll match any outfit, this bag has a fold over flap depicting a beautiful and vibrant garden with a faux leather strap running through, with a metal stud and loop at the end to secure the bag. Underneath the flap is a secret embroidered sleeping fox on a bed of green and metallic gold leaves on a white discreet outside pocket on faux leather. A golden zip secures the inside of the bag, which has a normal compartment and a zipped pocket inside lined in mint green. 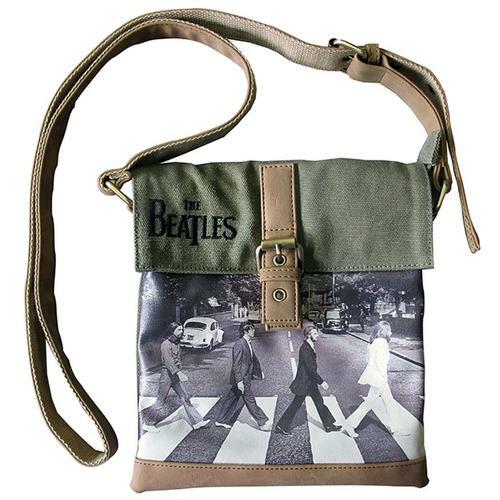 The bag has long adjustable faux leather straps and an adorable layered faux flower charm near the handle. 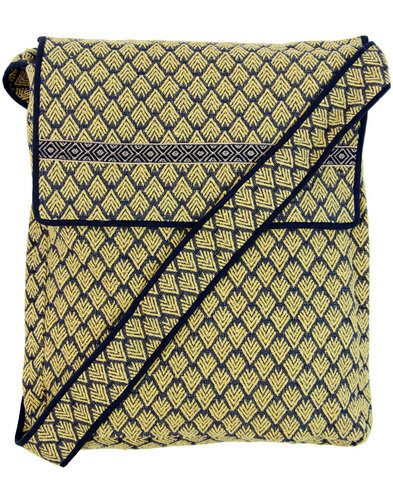 An adorable bag that'll keep all your treasures safe and sound. 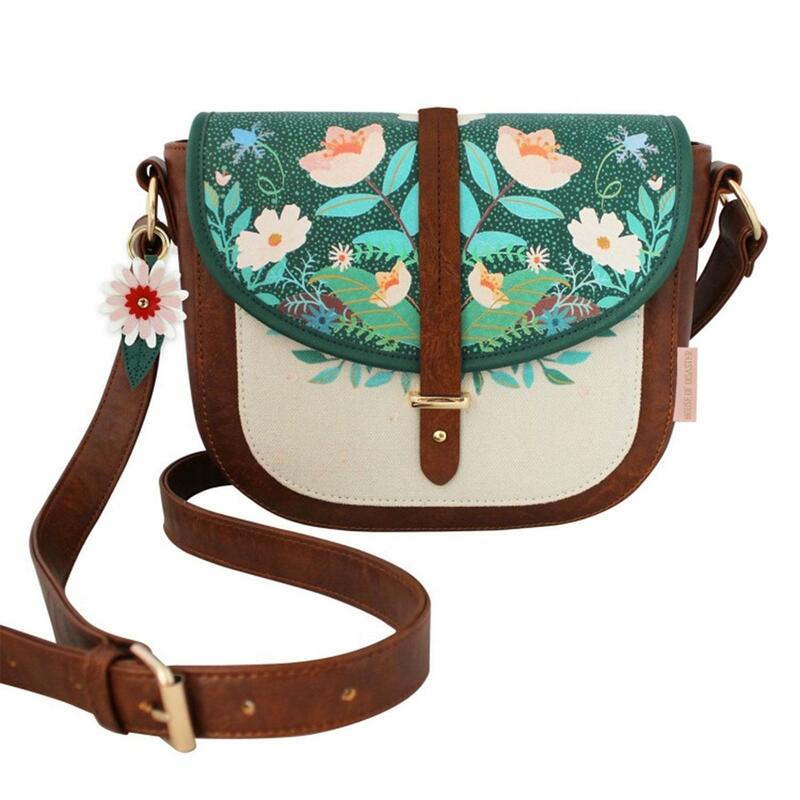 Secret Garden Fox saddle bag from Disaster Designs. Colourful garden depicted on the fold over flap. Canvas pocket with sleeping secret fox underneath. Fastens with a leather strap and metal hoop and stud. Lined mint inner compartment with small zipped pocket. Adjustable faux leather bag strap.